A-HOTEL.com - Luxury and cheap accommodation in Drozdovo, Russia. 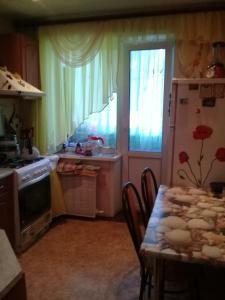 Prices and hotel, apartment booking in Drozdovo and surrounding. Situated in Zarech'ye, Holiday home Na Seligere offers accommodation with a flat-screen TV and a kitchen. Complimentary WiFi is offered. Located on the lakefront in Zarech'ye and boasting a private beach area, Pansionat Sokol has free WiFi. Among the various facilities of this property are a bar and ski storage space. 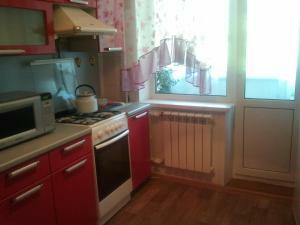 Apartment Sokol Seliger is situated in Zarech'ye and offers a garden. This apartment also features free WiFi. Apartment Sokol is set in Zarech'ye. The apartment is in an area where guests can engage in activities such as skiing and cycling. Featuring a garden, House Sokol 14 offers accommodation in Zarech'ye with free WiFi and lake views. The property has garden views. Set in Zarech'ye, this apartment features a balcony. The unit equipped with a kitchen with a fridge and stovetop. Holiday Home on Seliger is located in Kamenka and offers a private beach area and barbecue facilities. This holiday home offers accommodation with free WiFi. Offering lake views, Holiday homes Lukomorie in Zarech'ye features accommodation and a garden. Featuring a living room with a sofa, as well as a fully equipped kitchen, each unit has a private bathroom with shower. Offering a private beach area, Beryozka Cottage is located in Zarechye Village, on the banks of Seliger Lake. The property offers free private parking. Apartment in Zarechye is located in Zarech'ye. The property, housed in a building dating from 1987, offers free WiFi. Located in Nikola Rozhok, in a building dating from 2014, Holiday Home Pribrezhnyy provides ski-to-door access and guestrooms with free WiFi. Among the various facilities are barbecue facilities and ski storage space. Country House is set in Zarech'ye. Featuring a terrace, the holiday home is in an area where guests can engage in activities such as skiing, cycling and hiking. Boasting barbecue facilities, Holiday Home Seliger offers accommodation in Gushcha with free WiFi and lake views. Set on the beachfront, this property has a garden. Situated in Nikola Rozhok in the Tver region, SeligerLAND cottage #4 features a garden. Guests staying at this chalet have access to a terrace. Located at the bank of Lake Seliger in Zarechye, Nadezhda Holiday Park is decorated in wood and offers a sauna. All cottages feature a seating area with a flat-screen TV and a DVD player. Situated in Nikola Rozhok, Guesthouse Nikola House offers accommodation with a terrace. The units have a fully equipped kitchen with dining area, a microwave and a fridge. 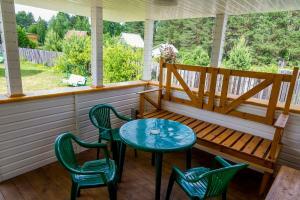 Situated in Nikola Rozhok in the Tver region, Holiday Home Lesnaya 7/2 features a terrace. Guests staying at this holiday home have access to a fully equipped kitchen. Holiday Home Lesnaya 7 is set in Nikola Rozhok and features barbecue facilities, a terrace and a shared lounge. Staff on site can arrange a shuttle service.